What influenced me to join the Army was that the Vietnam War was going on and I knew that my Draft number was coming up. I also came from a rather large family with many veterans that served during the time of War. I felt it was my duty to following the footsteps of my family members that served, so I volunteered for the 2 year draft. I thought it was the smart thing to do at the moment. I would soon learn a hard lesson. I served my two year stint, my father was in World War II, my brother served in the 11th Airborne in the Cold War, my grandfather’s brother served with the 5th Cavalry during the Civil War. 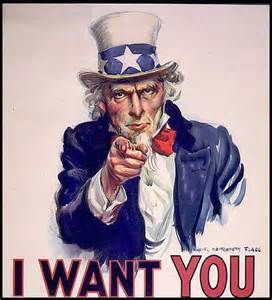 Most of my uncles served in World War II, so if you love your country, you serve if asked, or not asked. Why I left the Military? It’s because I knew that if I went to Viet Nam one more time, I wouldn’t make it back a second time. I was the only one from my platoon who didn’t go to the hospital from WIA or Malaria or KIA. It was life changing for me. Sometimes I’m still fighting some of those battles. I had my fill of danger and combat while in Viet Nam: I was in these operations from 1965 to 1966: Combat Operations #1: 1965-1966; Operation Scrimmage, Binh Khe, Quick Kick, Matador, White Wing, Lincoln 1, Mosby 1, Crazy Horse, Nathan Hale, and Henry Clay. Yes, I was in combat several times. 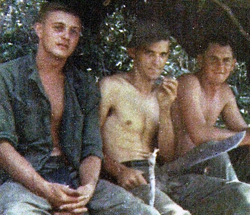 I knew that when we went to Ia Drang Valley we would lose a few buddies. 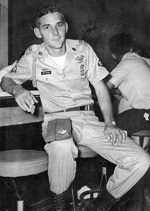 I’ll tell you one thing, I found God in Ia Drang on Dec 19th, 1965 and Nov 2nd and 3rd 1965. I got to the point where I knew I wasn’t going to make it home alive. 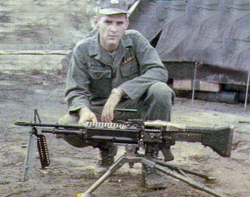 One night I laid out my .45 in the dirt next to me and my M-60 machine gun. All my buddies were hooking up their bayonets. I didn’t have a bayonet for my machine gun, but I had my .45. At 0300 the Viet Cong tried to overrun us. We fought back like hell and beat them back. We chased them back to the Chu Pong Massif. The division called us back and told us not to go any further. We didn’t know but there was 2.800 Viet Cong on that mountain and only 100 of us from Alpha Company. It was our lucky day on Nov 3rd, 1965. My most favorite was Fort Campbell, Kentucky as we had clean sheets, hot showers and hot food. My least favorite of course, was Viet Nam. Nov 2-Nov 3rd 1965. Alpha Company made the 1st night air assault in Viet Nam into a landing zone under attack by NRVN Forces to reinforce a unit from the 1st Squadron of the 9th Cavalry in the Ia Drang Valley. We had 17 men shot while landing. We lost Sgt Ross, lost Sgt Platt. Landed from 12pm to 0100. Lt John Hanlon was shot up really bad. 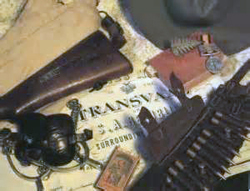 We hooked up bayonets as they tried to overrun us at 0300. We held our position until 0600. Combat Operations #2: Vic Thuan Hahn, Dec 1965. Lost my Lt Stuart Tweedy, Sgt James Thompson, Lost Sgt Dale Fugate. Had two of my good buddies, Gary Schavers and Nathan Villagomez wounded. Combat Operations: #3: White Horse (LZ Horse Bonson). May 1966. Lost good buddy David Canales, Had several more men shot up and my 4th Lt John Doubet took one through the arm. I go to Benson, AZ every year to David Canales’s gravesite to talk or leave a US flag at his grave. On May 15th, 1966, we were going to move next to the Mekong Delta on an early morning air assault. I landed first to lay down fire with my M-60, if needed. One of the Hueys with 12 men from my Platoon crashed while coming in for a landing. It was bad seeing it roll end over end tumbling down the mountain with bodies flying out, legs cut off, broken backs and you name it. I was the only one from my squad left that day. Half my platoon was lost. I still see it when I close my eyes every day. You know, I wasn’t looking for any medals. My buddies who died should have gotten the medals. The one who stands out is Capt Ted Danielsen, my Company Commander. He took care of his men. He wouldn’t have us do anything he wouldn’t do. If we didn’t have enough food to go around, he would do without. 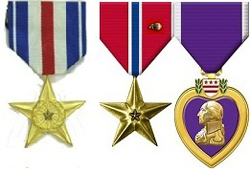 He received Two Bronze Stars with ‘V’ Device and a Silver Star for Valor. We all loved him and Lt Hanlon. He was shot up real bad. A bullet went through his spine and he couldn’t move but was still giving orders to us men before he passed out from pain. Our medic, Raymond Ortiz who was shot 6 times, was still helping the wounded before he passed out from loss of blood. I could go on and on but those men from Fort Benning were heroes to me. Damn they were great. Of all the medals I received, I think the Presidential Unit Citation for Extraordinary Heroism under Fire from President Lyndon B. Johnson. I have it hanging on my front room wall. Why? Because a lot of my buddies gave up their lives for this Citation. 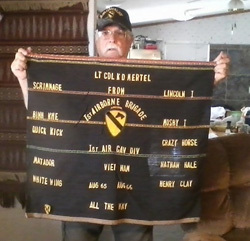 LTC Mertel, he was my Battalion Commander. He would fly over every mission we where going on a few days in advance to make sure he would know the area in case something would happen. He checked danger zones for the landings and or air assaults. He was an old WWll man. I hated to hear that he was deceased. We had talked online for many years. When he died, his daughter sent me his banner books and some pictures and plaques. He was a great leader. And, there was LT John Hanlon who took us into the first night combat landing on Nov 2nd and 3rd at 1200 hrs to O100, 1965. He wouldn’t give up after being shot three times. What can I say? LT Stewart Tweedy was another great man. The day he was killed, he was leading us up front, not from behind. These men I have all the respect in the world for. Only GOD knows how great they really were. My squad was going out on ambush. It was about 0100 in the morning. We came to this small creek. We had only moonlight to see by as we stopped to see where we would cross. 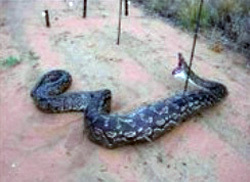 This big python slid off the bank into the river. It made a big splash. Now, I looked around at my squad. I could see all those eyes lighting up thinking, “Damn, if we get into this creek, this damned python is going to get one of us”. It was too wide to jump across, so we found this tree that had fallen down and threw or let it fall from one side to the other. So, Sammy Daniels gets on this tree and starts moving across this creek with his M-16, frags, 20 twenty round clips and all his gear when he gets right in the middle of this tree. It starts to break and he falls into this creek and goes under water and we can’t see him. Then all of a sudden he shoots out of the water climbing the river bank. We started laughing, I mean really loud, all of us. We couldn’t stop and even our Sarge was laughing. We could have all been killed that night. Sammy thought that snake was going to get him. I worked at a lot of jobs when I first got out. First at Suzuki Motorcycles in La Marinda, CA as a mail clerk. Then as a meat cutter at George A. Hormel and Company. Then a welder for a while. Then went to plumbing, heating and welding school. I started my own business for many years. Then worked for Roy Rogers, King of the Cowboys in Apple Valley, CA. I was lost for many years as you can see. I had a bad accident, woke up in the hospital with two broken arms and a concussion. I thought I was in Saigon in an Army Hospital, that’s when my life changed. Some of my buddies found me through the White Pages on the internet for a reunion at Fort Bragg in 1995. I went to it. It was one of the greatest moments of my life seeing these men who I fought with 30 plus years earlier. We were having beers, hugging one another. When it was over, I cried myself to sleep. I belong to the Veterans of Foreign Wars and the Together We Served website. I am assisting two WWII Veterans in capturing their military legacy and posting it to this website. I meet with Rio Rancho Coffee Club every Friday with all the Vets. Each branch of the service is represented. I try and help any Veteran who needs help getting on with their lives. I try to live every day to the fullest. When I was in Viet Nam, it was a bad day every day. My buddy was shot laying next to me. I said, “No matter how bad things get, it can always get worse”. I could have been laying there myself. So, I live every day thinking of one of them and call the ones who made it home as often as I can. Follow orders, keep your head down and leave no man behind. By all means, love, honor and respect your county and the leaders that you are to follow. It brought back a lot of old memories and a few more tears. 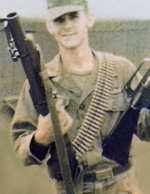 We had 331 KIA’s and one MIA, Ellis S Randall, from 1st Battalion, Eight Cavalry in Viet Nam. One day I hope that they find him. God Bless him and the USA and TogetherWeServed which helped me tell my story.